The Affordable Care Act is moving forward. Is your restaurant business ready? Here are five steps you can take to better understand the law’s impact on your business and your employees. 2. Communicate with your employees. Take time to understand how the law affects your employees, and what information they may need from you. Most Americans face a new mandate to obtain health care coverage starting in 2014. People can get coverage through their employer, a government-run health exchange, the private market, or a government program like Medicaid and Medicare. You’re required to give your employees written notice about government-run exchanges if your business is covered by the Fair Labor Standards Act. Beyond that, your employees are likely to turn to you for answers on whether you plan to offer coverage, to whom, and at what cost. Whether you’re a large or small employer, your employees are also likely to need certain information from you if they apply for federal tax subsidies to buy exchange plans. 3. 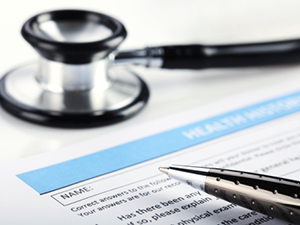 Understand how the ACA affects “small” employers. If you employ fewer than 50 full-time-equivalent employees, you’re not required to offer health benefits and you’re off the hook for employer penalties. However, other parts of the law will affect you. For example, FLSA-covered employers must provide written notice to employees about government-run marketplaces. If you offer benefits, your plans will need to comply with ACA rules, such as the 90-day limit on waiting periods that takes effect in 2014. You also may be eligible to buy health plans through an exchange, and if you’re small enough and meet certain conditions, you could qualify for a tax credit to help you pay for coverage for your employees. 4. Compile the data you need to evaluate your compliance options. If you’re a large employer, you’ll face a choice in 2015: offer affordable, minimum-value coverage to full-time employees and their dependents, or face possible penalties. As you sort through your options, you need to understand the law’s new definition of full-time employment, including how to assess the status of employees who are seasonal or whose hours vary from month to month. You need to understand what it means for a plan to be “affordable” for an employee, and what it takes to trigger a penalty. 5. Get ready to track and report more information. The ACA requires employers – particularly large employers – to track and in many cases report employee data in ways employers haven’t tracked or reported data before. Affected employers will be required to file information returns with the Internal Revenue Service and statements with employees in early 2016, based on data tracked in 2015. You need to be sure your IT, payroll, human resources and other teams are working together to ensure you’ll have the right data when you need it. The National Restaurant Association’s Health Care Law Toolkit offers extensive information to help you get ready. Get the lowdown on the law’s impact on small and large employers, background to better understand your employees’ questions, details on the large-employer calculation and more. The NRA also offers a member-exclusive Notification Tool to help you provide the required written notice to your employees about health insurance exchanges.